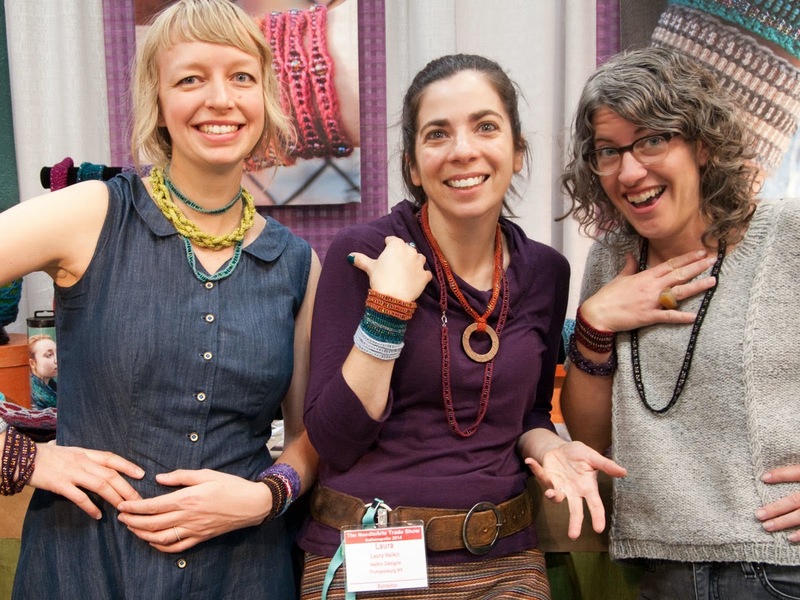 Jaime and I just returned from the whirlwind of magical yarn-y goodness that is TNNA! 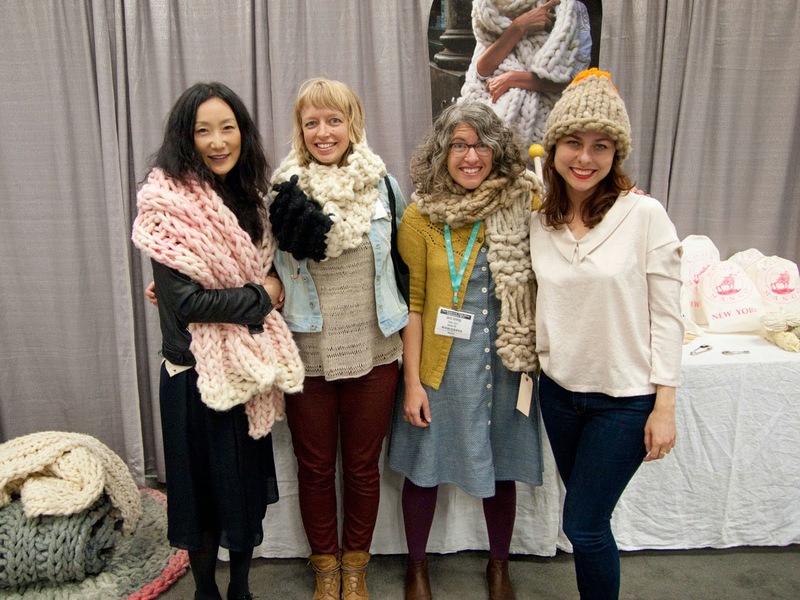 We saw some of our favorite folks--pattern designers, yarn producers and wool aficionados--and met many new friends to inspire our upcoming year of wool love! 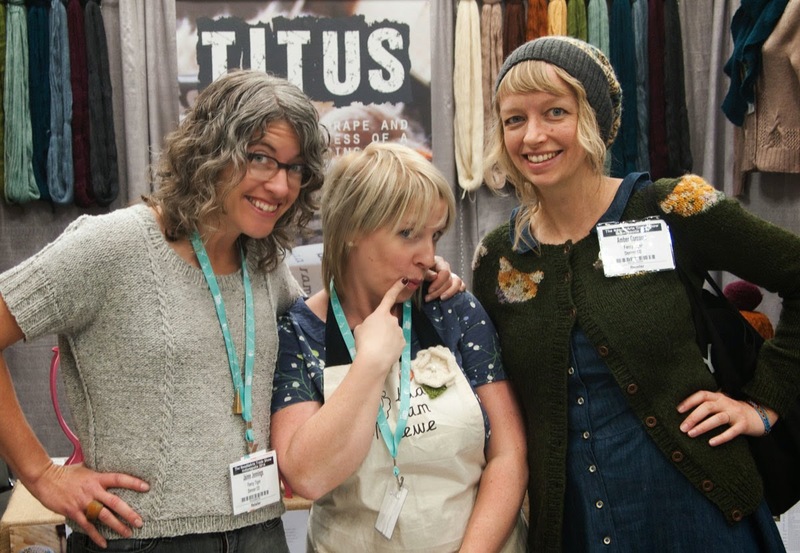 One booth that had us swooning featured baa ram ewe's Titus yarn. There we met Verity Britton, one of the forces behind baa ram ewe, and quite an adorable Yorkshire gal. Her Titus yarn is a scrumptious blend of Wensleydale, Blue Face Leicester and Alpaca, all raised in the UK. If the breed-specific blend wasn't enticing enough, they got us with their tagline, "The drape and softness of a sleeping cat." Yes, please! 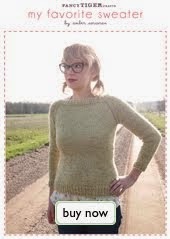 We can't wait to get our hands on this pretty yarn which should be here in late summer. 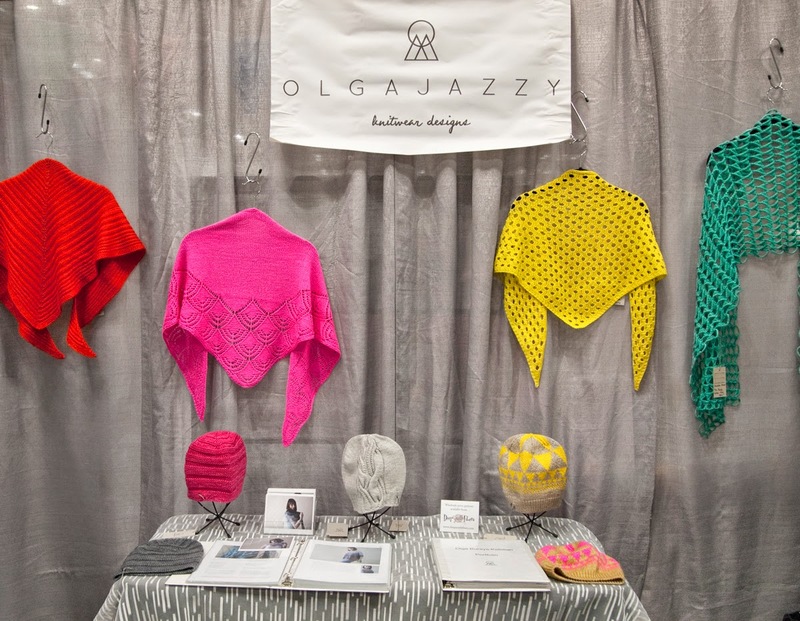 We visited Olga Buraya-Kefelian--otherwise known as Olgajazzy--and were taken by her new patterns. We were so excited about her graphic Fractals hat, that we picked up the yarn it was sampled in. Anzula Cricket will be showing up later this summer in some striking hues! The Pom-Pom magazine ladies were there all the way from England! 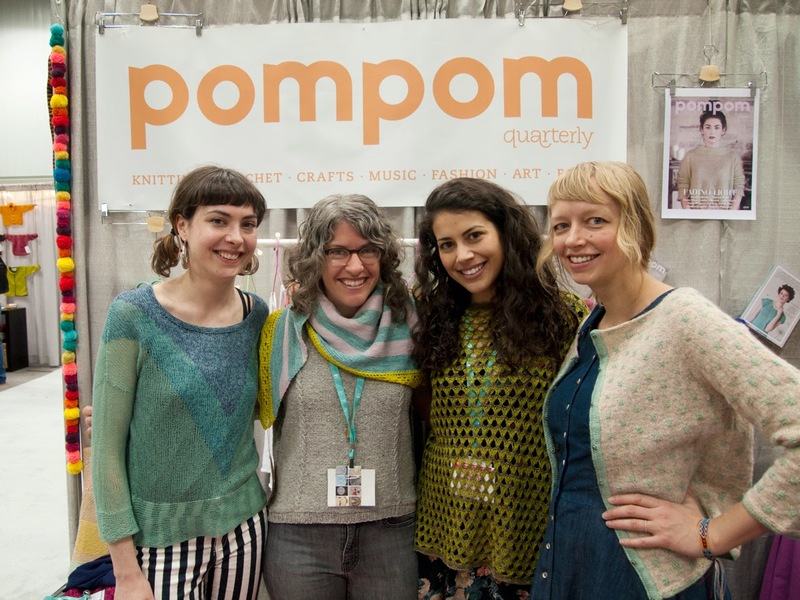 We were thrilled to hang out with Lydia and Meghan, the founders of Pom Pom Magazine, who are both the sweetest and most stylish ladies around. 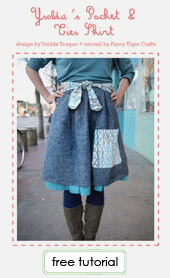 We got a sneak peek at the next issue and we are already planning our projects. 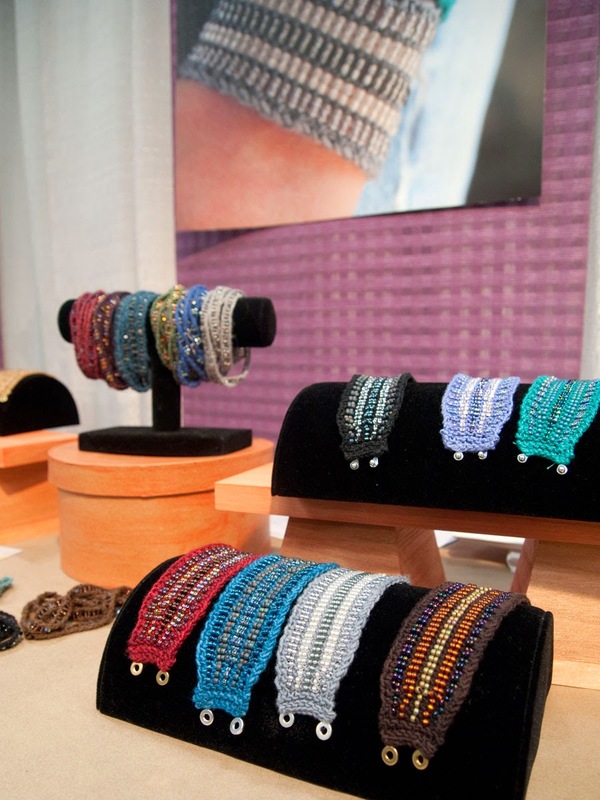 Laura Nelkin, beaded jewelry knitter extraordinaire, mesmerized us with her sparkling jewels. 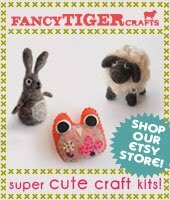 We ordered a bunch of kits for knitting with beads. 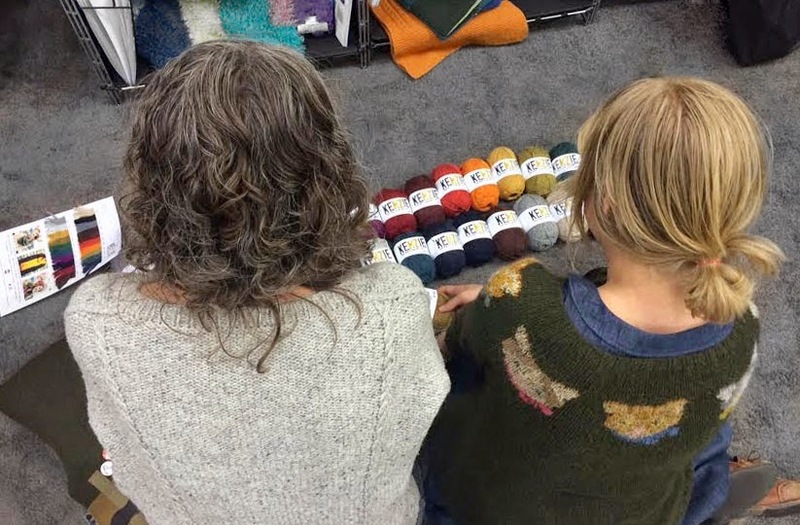 The ladies of Kelbourne Woolens debuted Knightsbridge, the newest Fibre Company yarn which is a beautiful blend of baby llama, merino wool and silk. They had a slew of classic new patterns in a handsome palette of colors. 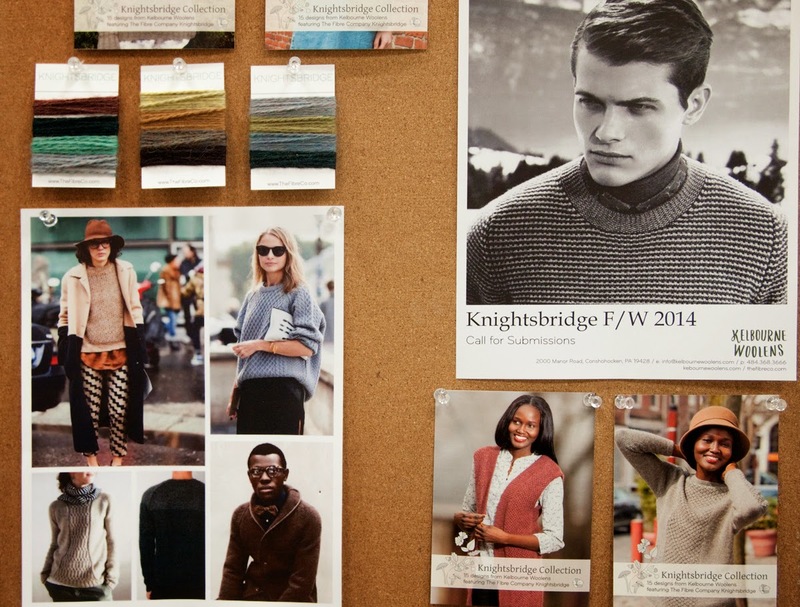 We loved seeing their inspiration board! Knightsbridge will be here this August. 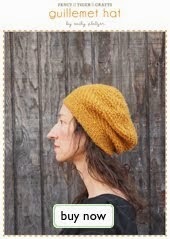 We finally took the plunge and ordered Kenzie, a tweedy worsted weight from Skacel's HiKoo line. This soft, woolly yarn has a touch of angora and alpaca mixed in--just enough to give it a soft halo while still letting the texture of your knitting stitches take center stage. 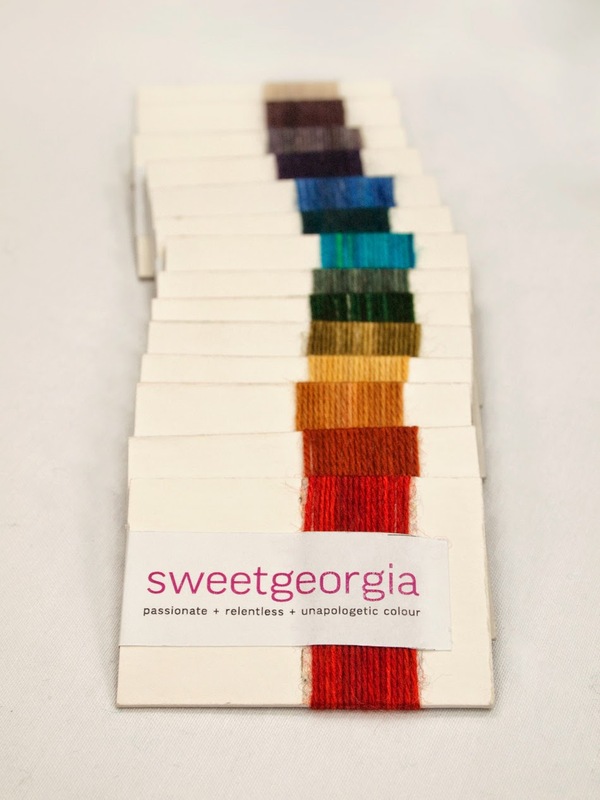 We picked up the insanely soft and delicate CashSilk Lace from Sweet Georgia yarn. Our palette will inspire you to make eye-catching shawls out of this soft, silky yarn, which will be here in July. We met Waejong and Anna, the duo behind Loopy Mango's Big Loop yarns, the most stunning super-duper bulky yarn in the universe. I wanted to come home with this amazing blanket so bad! 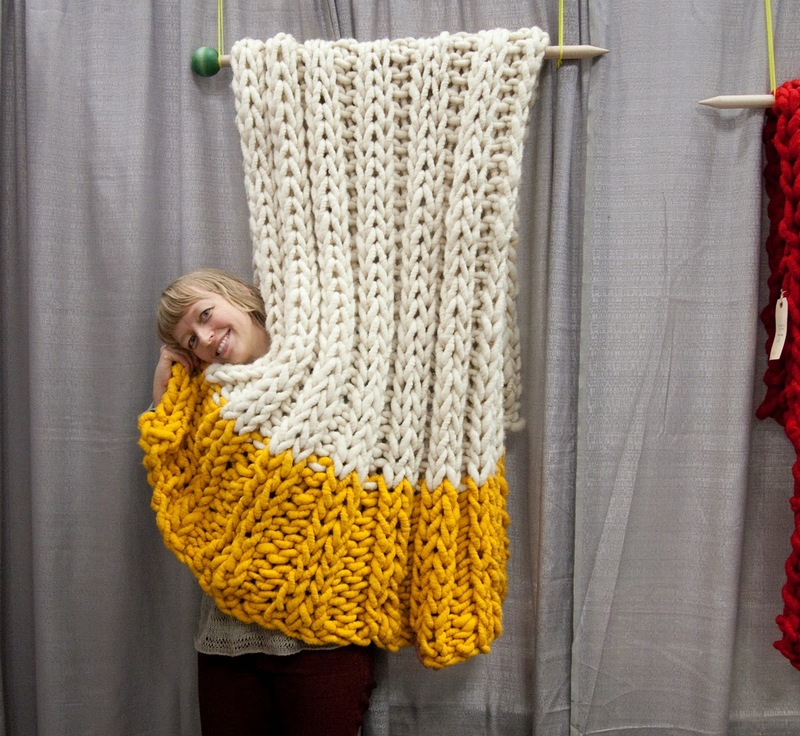 We ordered loads of big wool for the shop in new bright colors which will be here this fall--I can't wait to make my own blanket in the blink of an eye on giant size 50 needles. Sweeet! We can't wait to get our bling on!